Are PSG damaging Ligue 1? If you take a look at the Ligue 1 table, you shouldn't be shocked to see Paris Saint-Germain leading the way, especially since they've been champions for the last 3 seasons. What may surprise you though, is that they currently have a 21 point cushion over second-placed Monaco. A situation that should cause the LFP great embarrassment. 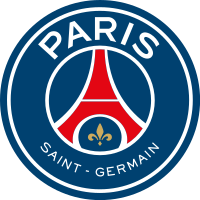 Since the 2012/13 season, PSG have established themselves as the dominant force of French football. And this has coincided with the presence of Zlatan Ibrahimović, who they signed for roughly a €20 million upfront fee in July 2012. Since then he has racked up an astonishing 92 goals in 108 league games, the type of goal-scoring ratio that only Lionel Messi and Cristiano Ronaldo can understand. 2012/13- PSG champions by 12 points from Marseille. Title won in 3rd last fixture. 2013/14- PSG champions by 9 points from Monaco. Title won in 3rd last fixture. 2014/15- PSG champions by 8 points from Lyon. Title won in 2nd last fixture. Judging by this, you could have made the case that Ligue 1 rivals were slowly closing the gap on PSG, albeit marginally. But any optimism that the other title contenders may have had back in August was immediately undermined by how the champions started this campaign and by their relentless form since. The current table tells the story, PSG have won 19 and drawn 3 of their 22 league games. In contrast, Monaco have won 10, drawn 9 and lost 3. The club is maintaining a tremendous level of consistency, and I can't criticise them for the fact that they are eclipsing their challengers so comprehensively. However, this type of scenario does call into question the real quality of a league and it's an accusation that has understandably been levelled at La Liga over the years. Of course these days that isn't exactly fair. The duopoly of Barcelona and Real Madrid tussling it out for the league every year has been challenged by the emergence of Atlético Madrid under Diego Simeone. The Colchoneros famous title win of 2013/14 was proof that a team could usurp the status quo, although it needed to be exceptional. What Ligue 1 faces in 2015/16 though, is the very real threat that PSG will demolish the league so ruthlessly, that they could effectively play their youth team after March 19th, when they face Monaco at home. That fixture is 9 league games away, and in the unlikely event that PSG and Monaco remain separated by just the 21 points, that would leave the away team needing to defeat the front-runners, followed by a 7 match winning streak in their remaining games whilst PSG lost every one of theirs. In other words, all bets should be off for this season. If no else has already said it, I'm saying it now, the Ligue 1 title race is over and we've not even reached February yet! I'm sure that this must leave the LFP in a quandary. On the one hand PSG have become one of the most powerful clubs in Europe, with a squad containing world-class players that can harbour genuine ambitions of Champions League glory. But if the pay-off is a diminished domestic league where the real competition is for 2nd place and below, is that satisfactory? It's worth examining the UEFA coefficients and their club rankings. In terms of the coefficients, France is just about clinging on to 5th spot, but depending on how the Champions League and Europa League turns out this season, they could find themselves slipping down to 6th, behind Portugal. As for the club rankings, these are perhaps even more alarming for the LFP. Obviously PSG are doing their bit, and are ranked in 7th place for European competitions. But then you try to find the next best French club and you have to scroll down to number 27 on the list, Lyon. To find the 3rd best ranked you must scroll even further to find Marseille in 40th place. If this doesn't make it clear enough, take into account that Lille are ranked 1 place below Newcastle United, a club that hasn't competed in Europe since their run to the quarter-finals of the Europa League in 2012/13. It's also interesting to note the 'Ángel Di María effect'. Always more of a creator than a goal-scorer, it appears that his move from Manchester United to PSG has enabled him to get on the end of more and more attacks. Since his transfer last August, he has scored 8 times in just 16 league games, a huge increase in his goal-scoring ratio when compared to his career prior to Paris. Even if we discount his torrid season at the Red Devils (3 goals in 27 league games), his current record is in stark contrast to his time at Real Madrid, when he contributed 22 goals in 124 league appearances. All of which suggests that Di María is finding the competition in Ligue 1 a lot more accommodating. It's not possible to come up with a definitive narrative of a Ligue 1 in decline, but from the evidence I've presented there are certainly reasons for those in charge of French football to be wary. The fear is that the LFP are too wrapped up in being star-struck by Nasser Al-Khelaifi and the Qatar Sports Investment, to realise that their money may actually be damaging the domestic game.